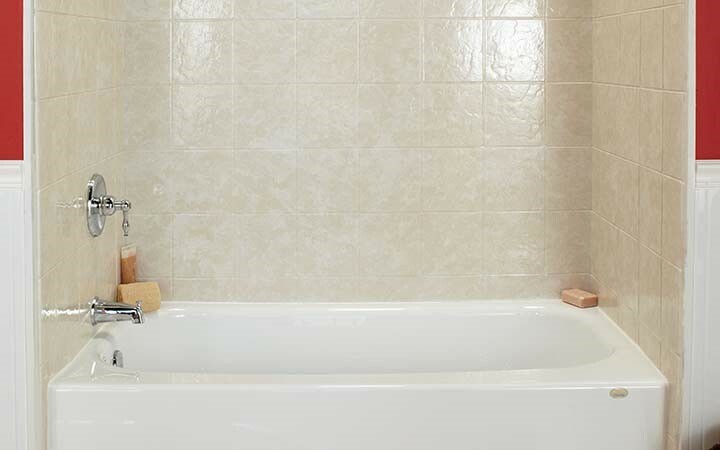 There are many reasons why a shower-to-tub remodel might be perfect for your household. Whether it's because you're looking to install a walk-in tub for your parents or you simply love bubble baths, a bathtub can be the perfect addition to your home. At Luxury Bath of Tampa Bay, we offer comprehensive remodeling solutions that can seamlessly execute your shower-to-tub conversion with ease. Because we are licensed plumbers, you can be sure we have what it takes to handle every aspect of your Tampa bathroom remodel. We even offer the industry's best lifetime warranty on parts and labor so you can feel confident about your remodel. Luxury Bath can transform your standard bathroom and shower into a spa escape. Deeper than standard tubs, our whirlpool models have built-in armrests and are available with conventional water jets or warm-air massage jets. We also manufacture and install deep soaking tubs for spa-like relaxation without the whirlpool jets. Give yourself just 15 minutes in one of these tubs and you'll emerge refreshed and energized. There's near limitless options to what you can achieve with our shower to tub conversion solutions. See how our shower to tub conversion can completely transform your entire bathroom's design and function. Call us to speak with a design consultant and learn more about our services or fill out our online form to schedule your in-home consultation and estimate.